A (not-so) hopeless romantic writer. A weird (not-so-much of a) stranger. A lot of (denied) feelings in between. 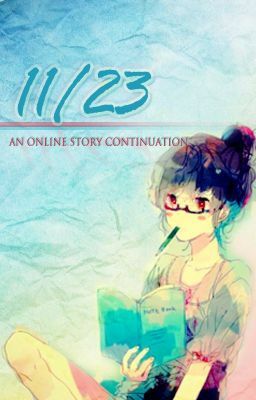 A (continuation of the online) connection that ends on 11/23. For me the story is very nice, I like both the Main Character especially the ML, he is funny and interesting with a lot of narcissist joke and interesting emoticon. The whole story is reeking of REALITY. There's not much fancy circumstances but I love how real there story is. It is a story if two people with very different personalities one is optimistic and the other is hating the world. Two people with "same circumstances but with different reaction, same feelings but with different actions". This is the type of novel that allows your emotions to surge, to pine for someone, to wish you're part of the crew so you could cry, laugh and witness everything. However, you are on the outside looking in (or above looking below) so you are able to hear the thoughts, see the pain and struggles of each characters. The FL is such a great personality! I admire the author for bringing her out and letting us see, feel, love and celebrate with her. Having read the prequel 23:11, it allowed... more>> me a better hold of the events leading to the struggles and the emotions of both characters. I could only applaud because the author gave us such good closure for both characters. I truly enjoyed the novel and can't help recommend it (and the prequel).